We welcome any questions or concerns you may have regarding your project and equipment rental questions. 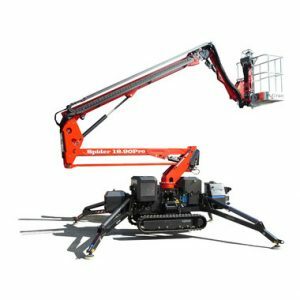 For example, we recently received a question via our quick quote portal regarding the 60 Foot Tracked Lift–Spider 18.90 – by Platform Basket. Consider The Duke Company your partner for all your construction needs. We offer expert advice from our highly rated customer service. For exceptional customer service & the fastest delivery in Upstate New York, call us for a prompt rental quote. Please note, subject to equipment availability and seasonal demands, specific makes and models of rental equipment may not be available for rent or sale. The Duke Company will make every attempt to equip you with the right rental equipment and tools that will enable you to accomplish your project goals. Please contact the Duke Company in Rochester at (585) 292-9870 and Ithaca at (607) 347-4455 to check for the latest availability.